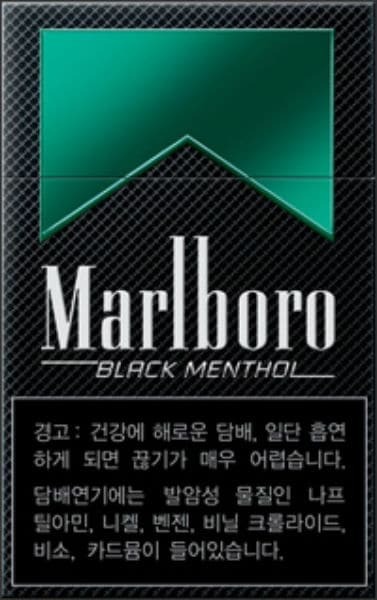 Marlboro Black Menthol – Selected premium tobaccos. Firm filter – Cooling taste. American blend in flip-top box. New Cool sensation of new Menthol from Marlboro Cigarettes. No need to say anymore, everyone loves this smooth taste of American Country. Marlboro is the largest selling brand of cigarettes in the world. It is made by Philip Morris USA (a branch of Altria) within the US, and by Philip Morris International (now separate from Altria) outside the US. The Marlboro cigarettes sold in store are NON FSC. Its way better than regular Marlboro menthol lights. Its Cooler and does not leave a nasty after taste. The best tasting smokes in the world. Leaves the mouth feeling fresh and minty. This is by far one of the smoothest menthols I have ever had. They are not harsh like Newports and have a great after taste. If you are skeptical about them, give them a try. You will not be disappointed. I like the taste a lot, it has a really bold taste. I’m not really into menthol cigarettes but this one was good. These are my favorite cigs. They go down smooth, and have a real nice menthol taste. Also, they leave a good cool aftertaste. Defintively the best menthols I’ve smoked so far. Great quality tobacco, menthol is definitely there but not overpowering. I usually prefer a very strong menthol e.g. the Ice Blast, but these are definitely up there with my favourites. The only problem : black menthol gives me a nasty tongue sensation, but still my favorite ! Waiting impatiently for availability in Belgium ! Great taste, with a smooth, cool menthol flavour. Well packaged and great service from Ciggies World, as always. THE DOWNSIDE TO ORDER is now when you buy a cartoon you can’t choose the slower but way cheaper delivery, you have to get 8 instead wich is frustrating cuz 8 pack come to the same price of a cartoon !! cant see the logik to this !! Love these cigarettes. Best menthol ever made. These were true menthol, my favorite. A good menthol cigarette. They came fresh and within 2 months time. I prefer the click menthol’s, but these are still decent.